What are the rights and obligations of each of the parties to the investigations with human beings? What is the importance of discussing this issue in the context of a Latin America that is changing? In 2014 the Pan American Health Organization (PAHO), together with PAHO Foundation, awarded Ignacio Mastroleo, assistant researcher of CONICET, for his contributions to the ethics of human health research. 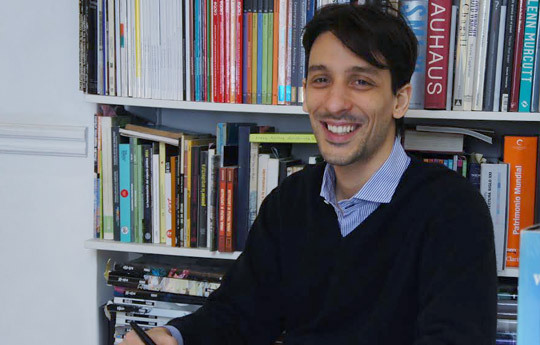 Mastroleo received the Manuel Velasco Suárez Award for Excellence in Bioethics for his project “Obligations of researchers and sponsors: the model of democratic reciprocity”. There he discusses how to rethink and reformulate the responsibility in the changes of the agents of clinical studies in Latin America. “When we establish what obligations we have as a society towards people involved in research studies we fund, we are also defining what rights we have as potential participants”, he states. Why has the topic of research studies with patients regained prominence in Latin America? I think it is a good time for research ethics in Latin America because research on human beings is being done at the region in an unprecedented way. Maybe not because of the amount of research that it is being done, since the process of globalization and outsourcing research is already well studied, but because of the way of funding it. Prior research was generally sponsored by the international pharmaceutical industry or agencies of other countries who hired local researchers. Now, in Argentina, it is the State that has began to finance research on human beings with the help of national universities and local companies through public-private partnerships. It is a fundamental change involving new responsibilities. Why has the way we do research in human health in Latin America changed? There are plans aimed at having a more innovative national pharmaceutical industry. Hence, to produce innovative drugs, research with human beings is needed. There are different areas of health research, but one of the most important is research in biotechnological medicines. In Latin America an application with immediate impact is biosimilars: a biological medicine similar to another biological medicine authorized for marketing that has lost or is losing its exclusive patent rights or drugs; for example, biosimilar monoclonal antibodies for the treatment of cancer or autoimmune diseases. In this context, what is the debate that is taking place in the region on this issue? Research ethics in Latin America is good at showing the exploitation of our countries by more developed ones. However, now we, the Latin American countries, are also funding and sponsoring international research with public money and therefore are on the other side of the equation. Part of my research project highlights this new situation. I think Latin American research ethics would have to re-discuss the ethical principles of research and rethink them from the perspective that now we are the sponsors of research with human beings. In your work you talk about the obligations of the different parties of human health research. Who are these parties and what are their main responsibilities? Fundamental ethical principles protect the welfare and rights of research participants, defend the social value of research and how to generate useful knowledge for the society within an appropriate ethical framework. In research ethics there are certain responsible parties that are classically recognized: researchers, sponsors – that can be funders or managers, of both public or private organizations – and research subjects or individual research participant. Its main obligations follow from the ethical principles listed in the Declaration of Helsinki of the World Medical Association, the UNESCO Declaration of Bioethics and also in the guidelines of good clinical practices are incorporated in the law of each country. Other responsible parties, which are not usually discussed in these terms, are citizens and governments of democratic societies. And what responsibility do governments and citizens have? One of the things that my project on democratic reciprocity highlights is that states are not a responsible party like the others. They are a responsible ethical proxy of society and have the formal ability to assign and distribute special responsibilities to other agents of human health research. They do so through legislation and regulation of research on human health, such as the new Argentine Civil and Commercial Code (articles 58 and 59) or the regulations of the drug agency ANMAT and the Ministry of Health on good clinical practice. This approach implies that in Argentina or any other self-determined democratic society, the citizens, public officials and legislators, are ethically responsible -in different degree, of course– for the regulations that protect the human rights of participants and allow the best use of scientific knowledge for society. MASTROLEO, I. (2014). Considerations on post-trial obligations in the Declaration of Helsinki 2013. Click here for the study.